The Real Estate Expert: On the road again! 09.08.08. People always have questions about property, even if it’s just a curiosity about what their property is currently worth, but few people pick up the phone to call a real estate agent unless they’re actually buying or selling. That’s why we have been “on the road again” this week with our popular ‘Kenmore Village Roadshow’ - a unique and exclusive opportunity to provide expert, no-obligation advice to the local community in the setting most convenient to them. Once again, that opportunity was grasped by hundreds of people keen to find out what’s happening in the local area in these uncertain times, and I’m pleased to say that our Award Winning team of local experts were on hand to give clear advise. We’ve got an absolutely fantastic team here and that’s no accident. Success attracts success and accordingly we’ve attracted very talented people into the fold. Anyone can sell a property, but only highly trained experts can secure a win-win result for buyers and sellers while also minimizing the stress involved for everyone. And if you are thinking of moving within or into the area, we are pleased to be able to offer an exceptional selection of quality property across the price spectrum. As always, you’ll find our comprehensive list of Open Houses (in time order for your convenience!) at the front of every edition of Open Doors, but if those times are not suitable, please call our toll free hotline on 1300 200 100 to arrange a private viewing at a time more convenient to you. You’ll also notice a snap shot of each property listed herein alphabetically by suburb. Of course, if you’d like more information about any of the properties, please speak to one of our team and we can provide a full property profile. 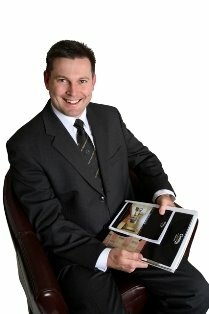 Alternatively log onto our award winning website at www.century21.com.au/westside where you’ll find a wealth of information, including detailed floor plans for all of Platinum Collection of properties. Whether you’re buying or selling, we’d love to help you make the Smart Move to the Westside!